"I JUST HEARD TODAY THAT BOB HAD PASSED AWAY. WHAT A SHOCK...."
"So sorry to hear of his passing, and shocked it took me so..."
"Franny,Nathan, & Ellen We are sorry to hear of Bobs..."
"So sorry to hear of Bob's passing. He will be missed. Hope..."
PORTSMOUTH, N.H., and East Boothbay - Robert Anthony Lord, 77, died on Tuesday, Aug. 1, 2017. 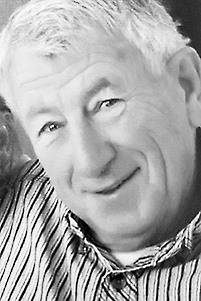 A Celebration of Life will be held at 11 a.m. on Friday, Aug. 11, in the First Parish Church, 180 York St., in York. Lucas & Eaton Funeral Home, York, is assisting with arrangements. For a full obituary, please visit: www.lucaseatonfuneralhome.com.